Missouri coneflower is a common and usually dominant plant of limestone glades in MO. 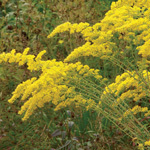 It tolerates hot dry weather and dry soil. The stems and linear leaves are very hairy. It has large basal leaves that often remain green through winter. 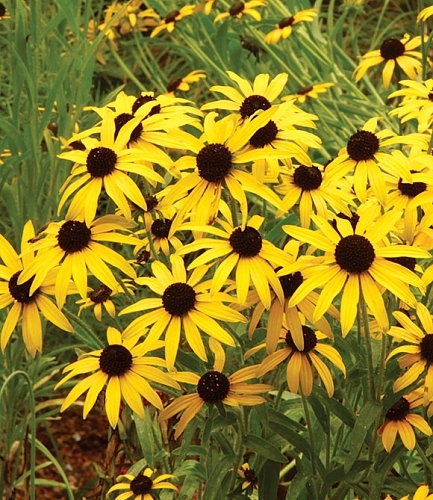 This black-eyed susan is an exceptional perennial for sunny, well-drained flower beds. 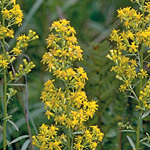 It makes a good cut flower and has a long bloom period in the summer. It will attract a wide variety of insects including bees and butterflies.